I am constantly looking through old photos. I really like how a photo changes the way I think about something. Its very powerful. I once read about Kevin Carter who killed himself after winning the Pulitzer Prize for Feature Photography in 1994 for this picture taken in Sudan a year earlier. Including those that changed the way I think or have had a lot of influence in the world. From what I read about the period, and the Black Power Movement; this picture of Tommie Smith and John Carlos is one of the most powerful I have ever seen. 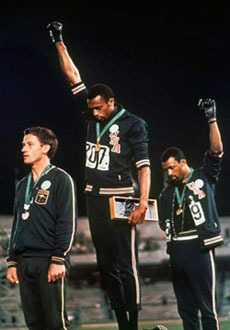 On the biggest stage at the time during a live broadcast of the 1958 Olymipc Games, they took their shoes off and wore black socks to show Black Poverty and raised their arms in the Black Power Salute, while The Star-Spangled Banner played. The movements impact not only African American identity but also on Black Socio Political influence to me is conveyed in this picture. This picture below came before the the major droughts of the early 1980′s. 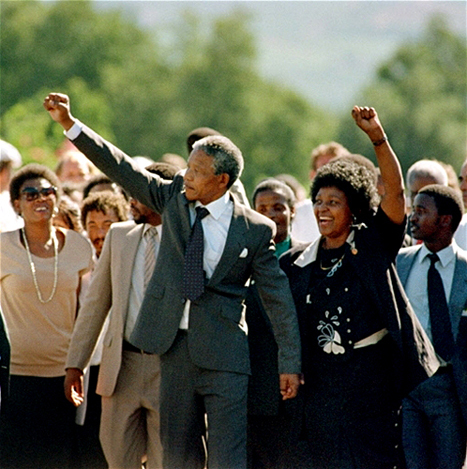 World Press Photo of the Year: 1980. This was the start of the media blitz to cover drought in Africa and that changed the image of Africa forever. Published by Nolawi August 25th, 2009	in African, Current Issues and Design. I never saw the third picture but the first two are my favorite. 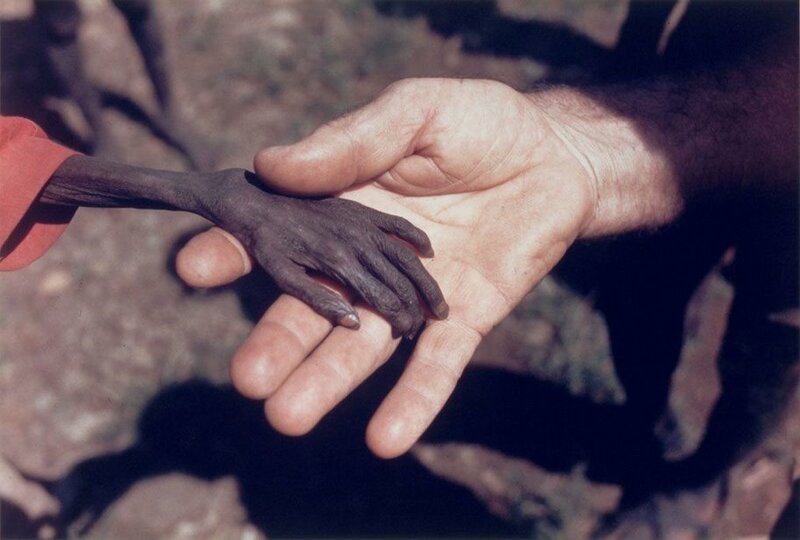 Here is another “Pulitzer Prize” winning photo taken in 1994 during the Sudan Famine. SelamT that is the photo i linked int he second paragraph! Never saw the last one before, it is really sad… but why is only in Africa and why do we let it happen again and again…why? The power of photographs is endless. It pauses me in that particular moment. It’s one of a kind in a way to review and evaluate where we are, how we think and what we become. I guess hands have alot to say. wow…i didn’t know they took of their shoes for that picture at the olympics – makes is so much more profound. Now that is non-violent protest at a new level! Both of them were suppose to raise their right arms with their black gloves but one of them forgot the black glove…so the white guy suggested that they do left and right arm…using the pair of gloves… thats why their arms are left and right…! I LOVE the 2nd picture…..didn’t know about the history or the meaning til now….i really like it, at first glance i thought that was Abebe Bikila. I love all of them but the second one is beyond powerful. Those are great pics. Jesse Owens standing on gold medal platform multiple times in front of Hitler during German Olympic(Makes me wonder what was going thru Hitlers mind). The “rumble in the jungle” Ali standing over Foremen after the knockout. A little closer to home, Haile Selassie gracing the cover of Time magazine in 1930. Do you all think the african famine photos and media portrayal helped Africa or did the opposite? on the other hand.. the portrayal of Africa in the media has been terrible blow to africa & black people in general..
but i dont think that should be blamed on the few photographs.. that shed light on reality! if your argument is … photo’s do not necessarily depict reality.. then that is another discussion..
well i wasn’t throwing a blame on anything ato nolawi, am just sheding a light on how powerful a photo is to change the perception of people in general about a certain event or country/continent/culture. Let’s get real: when ever someone mentions Africa, subconciously,what comes to mind is (for the most part) the misfortunes, wars and famines but not the bright parts and the natural resources or what ever good things we do. so i always doubt if the pictures really do any good for ‘africa’s image is all am saying. ofcourse the photographers make fame and fortune out of capturing these shots and distributing it but i sincerely doubt if it does any good for the PEOPLE! Isn’t that the whole point? to get attention from poeple who doesn’t have any idea what is happening. You like it or not the bad stuff always over shadow the good. And I think those pictures show the reality of what’s going on. I think when things finally do get better in Africa, we won’t know why. These pictures are proof that those things we’ve put our hopes in have been insufficient. But we keep praying and working. Wonderful choice! I love the first one. It demonstrates leadership. Exelent,thanks for writing such an informative post. I have been readingyour blog for a last few days and enjoy the quality of your posts. It makes me want to start blogging myself. Do you have any tips for someone fairly new to the blogging world? Throughout this great scheme of things you get an A+ with regard to effort and hard work. Where you lost me personally was on your specifics. As people say, details make or break the argument.. And that couldn’t be much more true here. Having said that, permit me tell you precisely what did deliver the results. Your article (parts of it) is actually rather engaging and this is most likely the reason why I am making an effort in order to opine. I do not make it a regular habit of doing that. 2nd, although I can certainly see the leaps in reasoning you come up with, I am not really sure of just how you appear to unite the details which help to make the actual conclusion. For now I will, no doubt yield to your point but wish in the near future you actually link the dots better. Soon after study a couple of of the blog posts in your internet site now, and I really like your way of blogging. I bookmarked it to my bookmark web site list and is going to be checking back soon. Pls have a look at my website also and let me know what you think.